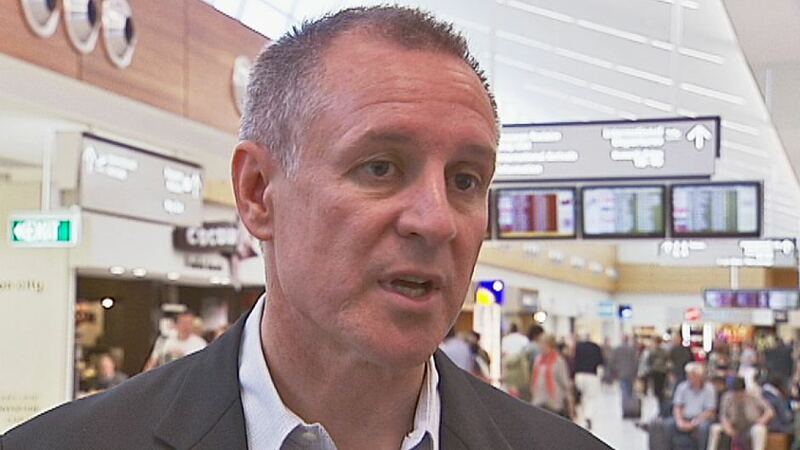 Jay Weatherill & entourage: ready to embarrass his State, yet again. South Australians must wake each morning not knowing whether to laugh or cry. With unemployment already the worst in the Nation and soon to rise fast – when General Motors Holden shuts the door on SA’s last motor manufacturing plant in October – the highest power prices in the world (with worse to come) and a grid on the brink of collapse, Croweaters must wonder what they did to deserve such punishment. Some might point to the fact that they keep voting in Labor governments packed with witless and cynical lawyers who, as a class, are more adept at running worker’s compensation claims or bullying firms on behalf of the unions they worked for, than running modern economies. However, if the object is running a once modern economy into the ground, then Jay Weatherill is your man. 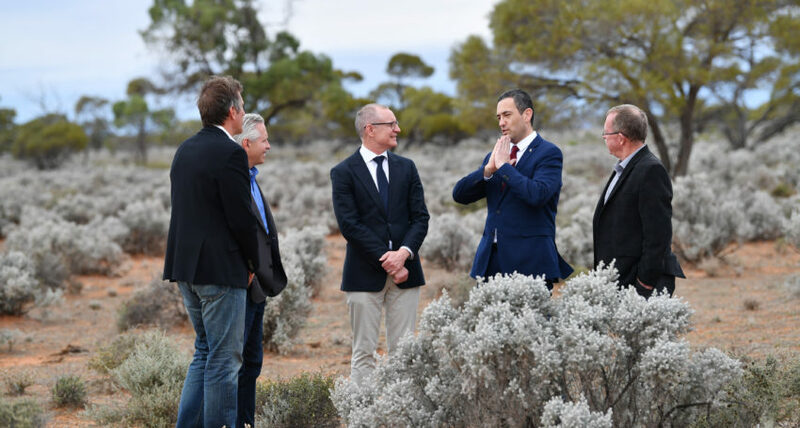 In another one of his orchestrated media-circus stunts, Weatherill rounded up his entourage to traipse across a sheep paddock 30km north of Port Augusta – standing amongst the saltbush, looking wistful – as he announced another project that is unlikely to go anywhere. This time it’s a solar-thermal power plant, said to cost $650 million to produce 150MW. On the Weatherill government’s form to date (its responsible for a new hospital in Adelaide which took twice as long and cost twice as much as originally budgeted for), STT expects the cost to be in the order of $1.2 billion and the timeframe for completion somewhere between now and never. Here’s how the story started out last week. Jay Weatherill has promised a $50 cut to the average household power bill when a $650 million solar thermal power plant is running, even as experts warn that the technology is in its infancy and largely untested anywhere. The South Australian Premier yesterday visited the proposed site of the world’s largest solar thermal project, 30km north of Port Augusta, hailing the new 150-megawatt plant as a “game-changer … (that) signals the death knell for coal-fired power stations in this nation”. Mr Weatherill said no form of coal-fired electricity generation, which includes new high-efficiency, low-emission options, were considered during the tender process. The solar thermal plant, to be built by US company Solar­Reserve in the state’s mid-north, was “by far the lowest-cost option of the shortlisted bids”, he said. “The government will pay no more than $78MWh for our power. By way of comparison, you can’t build a coal-fired power station for less than $100MWh,” Mr Weatherill said, hailing the technology as “the future for the world”. He promised household power bills would “come down very soon”, saying once the plant was operational, in 2020, “it would take about $90m out of the electricity prices across the nation for an average bill; that’s about $50 per household … it could be much lower than that”. SolarReserve chief executive Kevin Smith said a similar project was planned for South Africa next year, and the plants would use a technology developed in the US that “utilises molten salt for energy storage”. Australian National University research fellow Matthew Stocks cautioned that solar thermal was yet to be tested on a large scale and was in its infancy. Other recent studies had questioned whether solar thermal was a cost-effective option and if the new technology could deliver the promised output of electricity, Dr Stocks said. “In comparison to wind and PV you are looking at an industry that is 100 times smaller. “It is still much earlier on the learning curve, so we have to go through the process of understanding how it’s going to behave in the system to work out how much it’s going to contribute to our renewable energy future. Mr Weatherill said the deal “stacked up”, even without a $110m concessional equity loan from the federal government. plants delivering power on demand to SA, every day. Jay Weatherill reckons that his latest pie-in-the-sky project is a “game-changer … (that) signals the death knell for coal-fired power stations in this nation” and that once it’s up and running that “There’s going to be no more coal-fired generation” and that “Coal is dead”. That’s an interesting take on South Australia’s electricity pricing and supply calamity, particularly coming from a Premier who, not so very long ago, was literally begging the Commonwealth to stump up $2-3 billion to build more interconnectors to send his notionally wind powered State, even more coal-fired power from Victoria, New South Wales and from coal-fired power plants situated more than 3,000 km away in Queensland. Those overgrown extension cords are what keeps South Australia from plunging into the Dark Ages every time wind power output collapses on a total and totally unpredictable basis. Indeed, on numerous occasions, wind power output collapses have tripped the interconnectors, cutting SA from the Eastern Grid to keep the rest of it from collapsing: on those occasions Weatherill could rightly say that ‘coal is dead’, however hundreds of thousands of his constituents were sitting freezing or boiling in the dark, and perhaps not so keen to exalt in the ‘death of coal’. Hubris and arrogance are a stinky cologne. And so it turned out to be, as the Californian carpetbaggers involved (South Australia seems to attract them like flies to dung) conceded they were just a trifle short of finance: more than half-a-$billion short, in fact. A Californian company selected by the South Australian government to supply it with power for 20 years through the world’s largest solar thermal plant has secured no financing for the $650 million project, aside from a promised $110m concessional equity loan from Canberra. A much smaller but similar power plant in the US state of Nevada, run by the company, Solar­Reserve, and using the same molten salt technology, had an eight-month outage. There also are questions over the US company bid for the South Australian power contract with a price offer capped at just $78 per megawatt hour, which industry experts say is an incredibly low price. Yesterday, SolarReserve chief executive Kevin Smith told The Australian the company’s $1 billion Crescent Dunes facility in Nevada had “experienced an extended outage due to a leak in one of the salt tanks”. “The Crescent Dunes facility has provided the SolarReserve team with real-world know-how that has led to innovations toward higher efficiency, reliability and performance, while simultaneously reducing capital cost — which will be leveraged for our Aurora project in South Australia, and other projects under ­development around the world,” Mr Smith said. The setback in the US raised further questions about the planned 150 megawatt South Australian plant, which involves experimental technology that is unproven on a large scale and has questions over its technical ­efficiency, promised output and power supply cost structure. With construction slated for February, ahead of the March 17 state election, Mr Smith said there was “hard work” with financial, lending and equity groups “to get this project going forward”. Mr Smith said there was a “stable of potential funding sources”, with the company providing some equity and “the balance from various market sources”, including international infrastructure funds and overseas investors. South Australian Premier Jay Weatherill said while there was no state subsidy, the project “would not have happened but for the government’s supply contract”. Energy Minister Tom Koutsantonis refused to name other shortlisted bidders but acknowledged the pricing structure in the confidential contract was “an incredible outcome”. A review by Chief Scientist Alan Finkel found solar thermal with storage of the size proposed by SolarReserve had a capital cost of $1.2bn and was the most expensive form of electricity in Australia with an average cost of $172MWh. The Clean Energy Council’s Darren Gladman said the price offered to SA was “so low compared to what we’ve seen from solar thermal projects like this internationally”. Former Liberal leader John Hewson, involved in a separate solar thermal project using Australian technology, was shocked by the “surprisingly low” price. John Bannon: the Multifunction Polis’ always hopeful salesman. South Australia has a history of talking up projects and failing to deliver. Back in the late 1980s, another Labor government was looking to sell industrial wasteland to the north-west of Adelaide (locals know it as Gillman). Obviously, if you told international investors that you were offering a scrubby, windswept swamp, no more than a few feet above sea level, with the city’s waste disposal dumps as neighbours, attracting buyers could prove challenging. However, this property ‘sale of the century’ was given the tongue twisting title of the ‘Multifunction Polis’, naturally, a much easier ‘sell’. 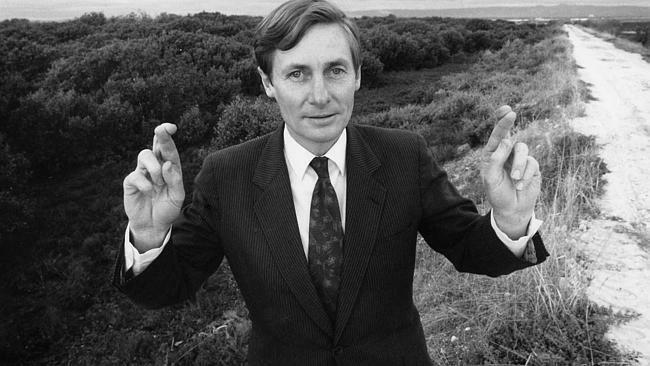 While wits at the time wondered what kind of disease had been discovered, and if MFP was contagious, the then Premier, John Bannon kept a straight face and crossed his fingers, as the boffins and bureaucrats around him tried to tempt Japanese investors to turn a barren wasteland into a high-tech wonderland. After $150 million was squandered pumping the project – the Japanese investors enticed to Gillman on a stinking hot February day, took one look at the site and fled – the Liberal Premier, John Olsen scotched the project in 1998. Jay Weatherill’s obsession with wind and solar power has set the state up for yet another embarrassing disaster, along the lines of the MFP. For a detailed dissection of where this all ends, we’ll hand over to the team at JoNova. A company called SolarReserve is planning to build the new Aurora 150MW solar thermal plant at Port Augusta, which is apparently a copy of their Crescent Dunes plant in the US. But that project has been offline for most of the time since last October. The whole SA government is meant to be running 24/7 off “solar power”, which allegedly only has about 8 hours of energy stored up (as heat in the molten salt block). So an 8 month break will be a bit of problem for the SA government (except of course, we all know that the real baseload backup here at 4 or 5am everyday, and most of the day in winter, is ultimately the very fossilized gas and coal.) Since the project only began working in Sept 2015 it managed to operate for all of one year and one month before it went offline for 8 months due to a leak. The SA State Energy Minister is not concerned saying it was a construction issue and SolarReserve “have learnt from that”. Should they close their Solar-Parliament each winter? The South Australian government might want to switch their summer holidays to winter, because Crescent Dunes production in summer was three times as high as their best winter month. (30GWh in Sept 2016 compared to 9GWh in February 2016). SA may well be better off if Parliament has to shut down for winter, but how do you run hospitals and schools on one-third of the power? In pure NewsSpeak — a $70-plus-per-MWhr-deal is “low cost” now compared to what — the shockingly high prices of the National Electricity Market which have just doubled? For most of the last 15 years the average wholesale price of electricity in SA was around $30/MWhr (See fig 1). This genius deal is so good, Premier Jay Weatherill is going to waste $2.6 million to sell it to South Australians. Premier Jay Weatherill has defended allocating $2.6 million to an advertising budget to spruik the plan. He argued the advertising was necessary to “ensure” investors understood that SA has “a secure energy future” and to protect the state’s reputation against people “seeking to essentially characterise South Australia as having an insecure and unstable energy system”. Here’s Weatherill offering a slight cut to astronomical electricity bills too. Given the likely capacity factor, and the government’s use, how many megawatts exactly will be left to spare? 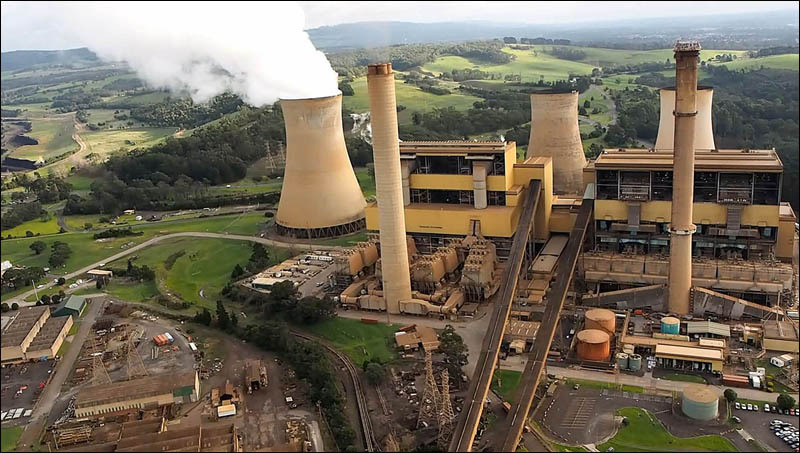 Mr Weatherill said no form of coal-fired electricity generation, which includes new high-­efficiency, low-emission options, were considered during the tender process. Weatherill knows coal is more expensive even though he didn’t consider it. All the other world leaders building 1600 coal plants in 62 countries must be kicking themselves. As for $100MWh coal power — Weatherill could have paid $30m to keep the 520MW coal plant going. h/t David Maddison for the youtube link. The planned 150MW South Australian solar thermal plant will be the largest of its kind in the world, using 12,000 mirrors to direct heat at a 227m tower. There are at least seven larger solar thermal plants – including the infamous Ivanpah which is more than double the size at 392MW. 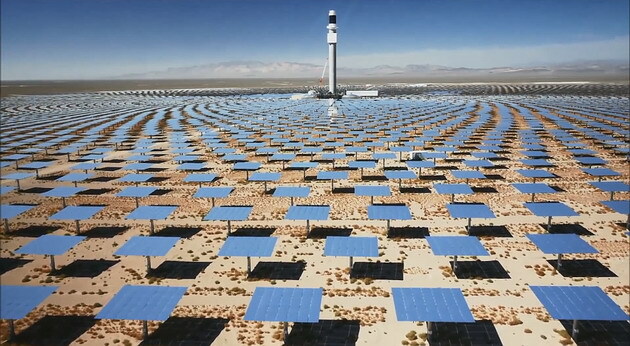 Possibly Aurora has the largest solar thermal tower at 227m, as the tower at Crescent Dunes is about 200m. How exciting is that? Jay Weatherill’s latest obsession is bound to end in tears, too. Was watching a GMH HR rep mouthing enthusiastic words about the skilled staff at GM now being available to SA employers. Weatherill chimed in saying what great assets they would be to all the emerging industries in SA. The GMH guy looked at him like something he had found on the sole of his shoe. The $50 is only about the election coming in 6 months or so. What a farce. This Labor Government is so captured by the spiel from very competent salesmen they will swallow anything if they say it will be cheaper and the biggest in the world. The majority of South Australians don’t actually vote for Labor, but Labor seems to manage to stay in government by negotiating deals with so called Independents and of course the decaying Greens. Solar Thermal could have a place, but relying on installing one gigantic proven to be no good plant is not going to solve any problems of this States energy supply. It seems Weatherill and Co are determined to ensure we have a very insecure and expensive energy supply to our hospitals, schools etc and no doubt Parliament house caring nothing for the cost to the people of this State. Already they are renting diesel generators as a ‘temporary’ measure then apparently having them converted to gas. The gas will come from the SE fracking areas irrespective of the danger to a region rich in farming, dairies and viticulture. All this in attempting to keep Government with power will also need them to fork out lots of money – sorry lots of our money – on new infrastructure to get the gas to the generators installed in Labor strong holds of the northern and southern suburbs of Adelaide – 500+kms away from the gas source. It seems none of his measures will actually keep the lights on for the people of this State, even the WORLDS BIGGEST BATTERY is meant to keep the lights on for government institutions not the general population. How they intend to separate this from the Grid is unknown – maybe new Grid delivering just to Government owned places!!! SA will have the WORLDS BIGGEST SOLAR THERMAL PLANT, BIGGEST BATTERY, largest uptake of WIND and a Government that has driven the state into the BIGGEST DEBT it has ever known. For what? CLEARLY eco-Jay didn’t bother to google, googles very own massively failed “Ivanpah” solar thermal plant in CA! ANOTHER $650,000,000 of other people’s money down the toilet. Thanks Jay. The “Multifunction Polis” was probably the biggest con job in Australia’s history until global warming and climate change came along. With Tim Flannery that great expert climatologist Paleontologist spooking State governments into wasting Billion$ on pipe lines and desal plants all over the country that will never be used. Then along came renewable energy and like all PC left wing crazy labor governments the new money pit was just too good to be true so they are now going to bankrupt Australia and leave the country without any electrical infrastructure to power the cities in a decade’s time. One thing that ties all these disasters together is University professors, lawyer politicians and crazy loony labor governments who couldn’t run a bath let alone a country. Nothing but trouble. If the entire Geelong Council can be sacked for questionable practices and an outside administrator put in, why not also a Premier? $50 rebate won’t make SA electricity more affordable. Wages are decreasing as bills increase.